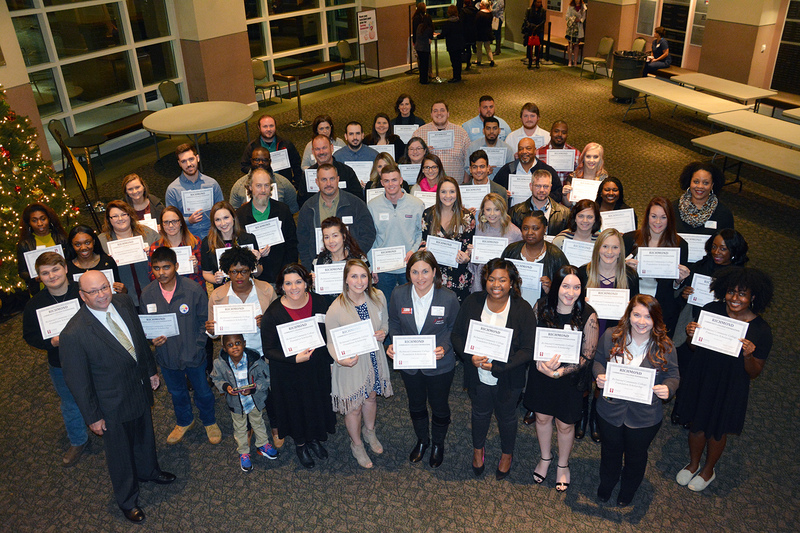 Richmond Community College has more than 100 annual scholarships provided by gifts of donors and benefactors to the RCC Foundation. We encourage all current and prospective students to fill out our application to be considered for a college scholarship. RCC Foundation Scholarship application is available online at the link below. Applications are reviewed during the months of May and June for the upcoming school year. Copies of the Working Student Scholarship and Golden LEAF Scholarship Program are available in the Financial Aid Office. If you have questions about any of our scholarships, call the Financial Aid Office at (910) 410-1726. One scholarship unique to Richmond Community College is the Working Scholarship, which was created in response to working students and families who were being denied full state and federal financial aid options because they were earning a living. The scholarship is available to individuals who work at least 10 hours per week. Scholarship is now available for Summer! Students attending or planning to attend any of North Carolina’s participating community colleges who reside in a qualifying county and demonstrate financial need are eligible to apply. Scholarship funds are limited. Scholarships for transfer students are available at most four year colleges. Some colleges have developed special transfer scholarships for community college students who have excelled academically. The SBRE scholarship program was created to benefit students who are enrolled in or plan to enroll in either an Associate in Applied Science Degree Program of Study in HVACR or an Associate in Applied Science Degree Program in Commercial Refrigeration Technology.